When it comes to quality care and patient comfort, our office has an advantage over most dentists in Wildomar, California, and surrounding cities in the Inland Empire. Dr. Derek B. Hauser, DDS, is proud to operate a single provider dental office, which allows him to personally take care of all our patients with each visit. Our staff shares a mutual goal of going “above and beyond” to exceed expectations in every aspect related to caring for people of all ages. We are passionate about educating our patients about the importance of good oral hygiene and teaching them how to keep a healthy smile. Most of our staff has worked at Lakefront Family Dentistry for many years and are all very knowledgeable about what’s needed to maintain a healthy mouth. 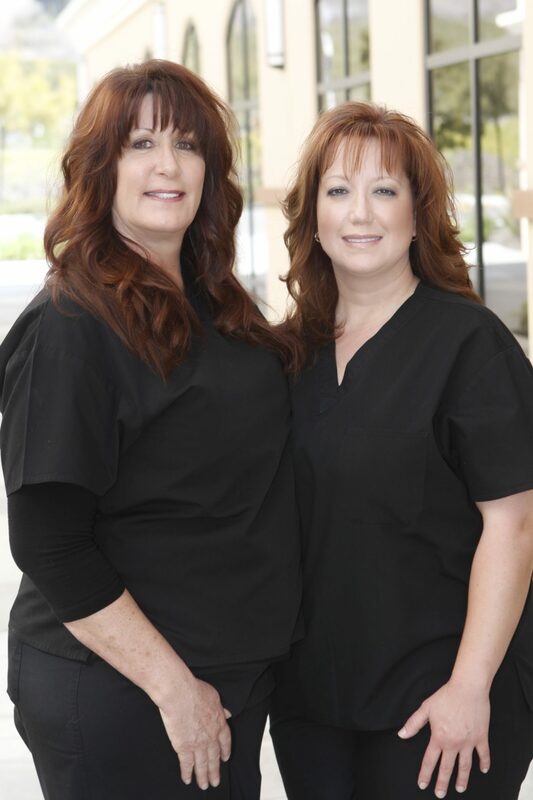 Dr. Hauser is the most well-known cosmetic dentist and CEREC dentist in Riverside County. Take a Look at this Patient’s Entire Smile Transformation with Veneers. Call (951) 244-9495 to learn how we can help your family keep a healthy mouth and brighter smile! Or you can make an appointment online today. Everything entering our body goes through our mouths, including infectious bacteria. Keeping a clean mouth helps prevent embarrassing bad breath and reduces the risk of infectious plaque and tartar. It’s never too late to start improving your oral health. Dr. Hauser values each and every new patient and their long-term relationship. Ask the Dentist: Are Electric Toothbrushes Better Than Manual Ones? Most practitioners around the country choose electric toothbrushes because they reduce more plaque and clean more effectively than manual ones. As your family dentist, Dr. Hauser has dedicated over 20 years to being a skilled, caring dentist who offers the best recommendations for your oral health care. So Many Options…Which Do I Choose? We’re so fortunate to have many oral health care options available on the market today. The large variety of dental brushing equipment can be a bit overwhelming for many people. While decent results can be obtained with effective, manual brushing , the powered versions have far more advanced features that help maintain whiter, healthier teeth. One of the most noted benefits is the quick-vibrating, electric powered motion, which has been shown in studies to remove much more plaque and hard tartar build up than a manual brush. You can customize electric brushes for more sensitive teeth and gums, too. Adults-to-children five and up can benefit from this advanced oral health care solution. Electric brushing solutions also have optional, enhanced features such as timers that automatically shut-off when the cycle is complete. They also have built-in pressure sensors that adjust the speed and motion, preventing gum irritation. What’s the Best Choice for Children? There are plenty of dentist reviews and research studies suggesting kids who use powered brushes have cleaner teeth and healthier gums than those who brush manually. One study showed 5-year-old children can only reach 25% of their teeth surfaces. Even 11-year-old children could only reach 50% of their teeth. Using a powered brush in conjunction with an ADA approved toothpaste helps kids get to those hard-to-reach places where infectious bacteria like hiding. Also, kids lack the dexterity required for establishing good, effective brushing habits. They are less likely to spend the minimum time required to get their teeth clean. 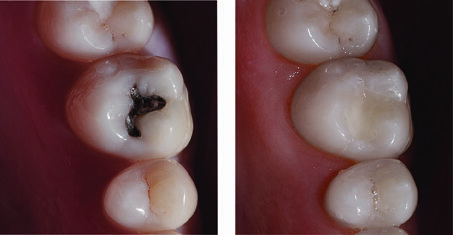 Need to Remove Some Amalgam? Dr. Hauser Matches Your New White Filling with the Same Color as Your Surrounding Teeth. Nearly 65 million people in this country have periodontitis (i.e. gum disease). Our family dentist, Dr. Hauser, is truly sincere and passionate about helping families maintain good oral health after they leave our office. A good home maintenance routine is absolutely essential for keeping a healthy mouth and bright smile. Our office carries a line of Sonicare products recommended by Dr. Hauser for many of our patients to help achieve maximum cleaning results. We choose Sonicare products because they offer teeth cleaning solutions that significantly reduce the risk of gum disease. The patented technology they use cleans the mouth by driving toothpaste and water between the teeth and around the gum line more than manual brushing. Our staff is very knowledgeable about the products Dr. Hauser recommends and can also answer any questions to help determine which products are best for you and your family members. For your convenience, we carry many of these products on display and they can be purchased right from our office. Many of our patients love the DiamondClean model, which is proven to deliver ultimate whitening, radiant teeth and fresh breath. Families come here from all over Riverside County because they trust us to provide tender, loving care for themselves and their family. Dr. Hauser is a highly regarded family dentist, offering a full range of preventive, restorative, and cosmetic solutions for people of all ages. Our specialty is delivering the highest quality, most efficient and consistent care for everyone who comes into our beautiful office. Our solutions range from standard preventive care to major oral restorations and advanced procedures. Learn What an Experienced CEREC Dentist Can Do For You! Lakefront Family Dentistry is one of only a few providers in Riverside County licensed, trained and equipped to provide same-day porcelain crowns, veneers and bridges. Using state-of-the-art CEREC technology, we can create flawless teeth that are permanently placed in just one visit! Please call (951) 244-9495 and schedule an appointment with our leading dentist in Wildomar, CA, or make an appointment online with us today!